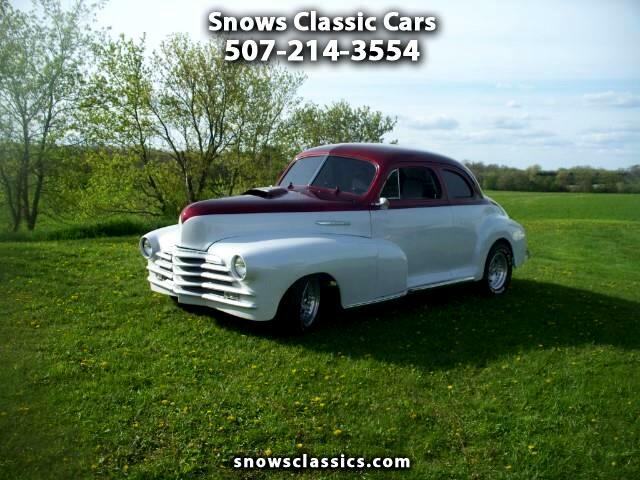 1948 Chevy coupe, Air, 4 wheel disc brakes, new tires and wheels, new gauges, custom steering wheel, candy Red/white pearl, door poppers, aluminum radiator, tilt wheel, 350, automatic. The entire front clip is all old skool fiberglass, very Kool! this car runs and drives great, you will not be disappointed. call us for more info or email us !